Welcome to the Penn Auditory Research Laboratory, which is part of the Hearing Sciences Center! 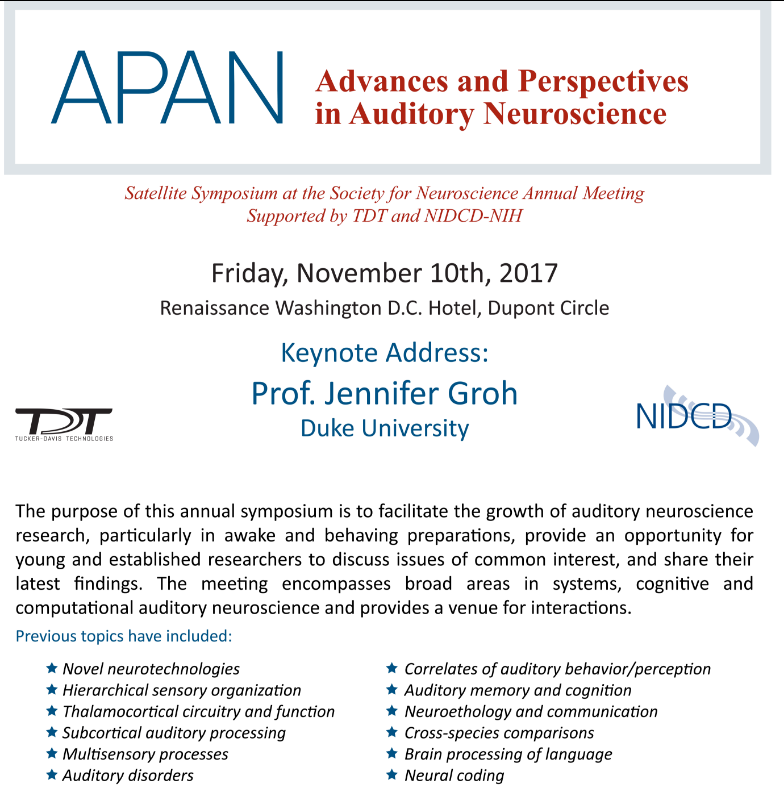 Auditory Splash--a one-day auditory neuroscience conference for the East Coast--is returning to U. Pennsylvania!! It will be on Saturday, September 8, 2018. NEW!!! Yale and Josh Gold have a new ONR grant to study auditory decision-making. This grant has multiple post-doctoral fellowships. Please contact Yale immediately for more information! We have multiple NIH-funded positions for graduate students (to start in Fall 2016) and post-doctoral fellows!! Please contact Yale Cohen if interested!!! Read the Lab News Page!